For the first time in three decades the Oscars will be without a host to crack jokes, introduce presenters and lead skits about this year's top films and performers. This means no viral selfie from the likes of Ellen DeGeneres and no classic deadpan humor from past emcees like Jimmy Kimmel. But what else can we expect? How will the show open? And how will the flow of the show work? These are all questions movie fans have been asking over the past few weeks. Exactly 30 years ago, the Oscars went host-less with an opening number that got anything but rave reviews. That year's show, produced by talent coordinator Allan Carr, who wanted more glitz and glamour added to the show, featured a 10-minute performance, which sounds good in theory in place of an opening monologue, but Rob Lowe and Snow White together in the show's opener had critics and fans alike scratching their heads. That year Carr also added the now famous line, "And the Oscar goes to ..." and had an extended red carpet. Lowe is able to joke about the situation now, telling the New York Times last year, "It's fitting and proper that we continue to honor the dark and tragic event that befell our nation 30 years later." But without a host and a monologue that usually focuses on the trending events of the year, expect a splashy opening number, maybe something to highlight the great films of 2018 like "Black Panther," "A Star Is Born" and more. 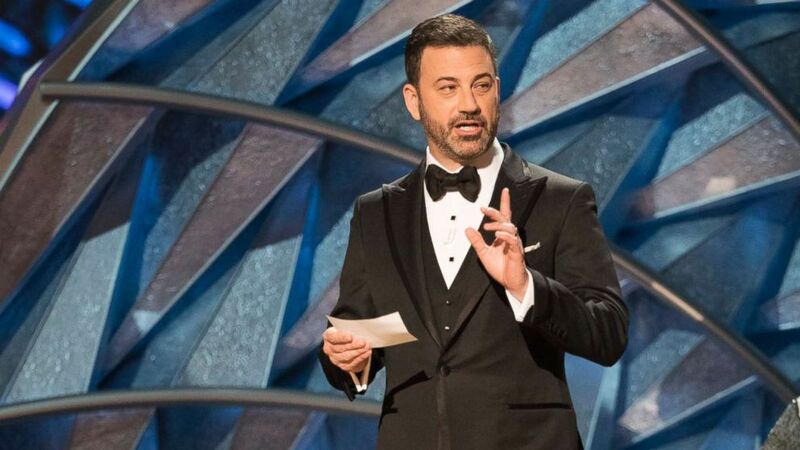 One thing is for sure, the producers Donna Gigliotti and Glenn Weiss have alluded to Kimmel's 18-minute monologue last year in interviews and said the opening is likely to be shorter in an ongoing effort to trim the show. There will be royalty in the house, but maybe not Snow White. The Academy of Motion Pictures already announced that most of the nominees for the best original song category will be performing this year after there were reports that some had been cut from the show. Monday, the Academy also revealed that the legendary British band Queen and their current lead singer, Adam Lambert, will also perform. "Is this the real life? Is this just fantasy? We welcome @QueenWillRock and @adamlambert to this year's #Oscars," The Academy tweeted. This performance comes in a year where "Bohemian Rhapsody," the movie that tells the story of Queen's iconic lead singer Freddie Mercury, is nominated for five Oscars, including best picture. In addition to Queen's performance, Lady Gaga and Bradley Cooper will perform "Shallow" from "A Star Is Born," nominated for best original song, while Bette Midler will be that "special guest" that was teased a few weeks back, singing "The Place Where Lost Things Go" from "Mary Poppins Returns." Gillian Welch and Dave Rawlings will sing "When a Cowboy Trades His Spurs for Wings," from "The Ballad of Buster Scruggs," and Jennifer Hudson will sing "I'll Fight" from "RBG." It's not clear if best original song nominee, "All the Stars," will be performed from "Black Panther," which was recorded by Kendrick Lamar and SZA. You can still expect to hear "wrap it up" music if speeches run long, but after the category controversy earlier this month, this should be the year speeches and causes close to the hearts of the big winners will take center stage. The past year has seen women and minorities in the industry own their worth and speak out against sexual assault and a lack of equality. At the Golden Globes in January, best actress front-runner Glenn Close won for her acclaimed role in "The Wife" and gave a speech that has been talked about ever since. In her role in the film, she plays a wife that has buried her dreams in favor of supporting her husband. In the picture, you see her finally come into her own. "What I've learned through this whole experience is that women, we're nurturers, that's what's expected of us. We have our children and we have our husbands, if we're lucky enough, and we have our partners, whoever. But we have to find personal fulfillment. We have to follow our dreams. We have to say 'I can do that and I should be allowed to do that,'" she told an audience soaking up every bit of her inspiring words. In her speech, "If Beale Street Could Talk" actress Regina King took things one step further and actually challenged those in attendance at the Globes. King is the favorite in the Oscar's supporting actress category. King said she would hire more women for projects she produces in the next two years and challenged leaders in Hollywood and other industries to follow her lead. "I'm going to use my platform right now to say everything I produce is 50 percent women," she said. "And I just challenge anyone out there ... anyone in a position of power, to do the same." In addition to Whoopi Goldberg, Brie Larson, Jennifer Lopez, Amy Poehler, Charlize Theron, Tessa Thompson and others presenting awards, there will be icons from outside Hollywood shedding light on what powerful films mean to them and to culture. Oscars producer Donna Gigliotti told the New York Times that sports and cultural legend Serena Williams would be part of the show, talking about the influence of "A Star Is Born." The Times reported that eight people outside of Hollywood will regale the audience on the importance of film with the tennis legend talking about Lady Gaga's epic, "A Star Is Born." "Along with inclusion, which we definitely want to embrace, the big theme of the show is about movies connecting us -- not in this theater but in a big, sweeping, cultural way," Gigliotti told the paper. With all of this though, can the Oscars actually shorten the long telecast that in the past has run well past 11 p.m. on a Sunday night? "The answer was no," Gigliotti told the Times. The 2019 Oscars will air at 8 p.m. Sunday on ABC.